One can learn a lot about Oxfordians and their mindsets by reading the three comments from the intellectual leadership of their movement. It’s also easy to see why it’s such a tiny fringe theory with zero impact on Shakespeare studies. on 10/16/2015 at 9:26 am | Reply Richard M. Waugaman, M.D. Roger, at least they haven’t removed our two comments yet. Perhaps the rules are different with the Folger’s Collation blog. In the past few months, I’ve twice had my comments on its articles censored. For example, the post below mentions the Stratford tourist industry, which depends on the traditional authorship theory. It has “0 Comments,” only because they chose not to post what I wrote about it. This is a matter of academic freedom, but the supporters of the traditional authorship theory are unable to deal with our objections on an ad rem basis, so they resort to treating us as oddballs who don’t deserve a hearing. As I’ve already said elswhere, I thought the Folger was supposed to be neutral on the authorship question. 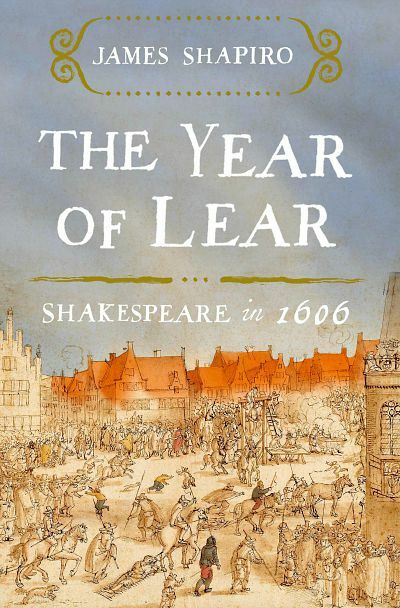 Since everyone who has been following the question for even a few years is aware, this book is another in Shapiro’s series of attempted interventions in that question, it is hardly “neutral” for the Folger to continue shilling for it. In the long run, such activities may jeopardize the library’s public funding options. Its sad that the Folger continues to suppress real debate and discussion on the authorship question. on 10/15/2015 at 7:10 pm | Reply Richard M. Waugaman, M.D. Unlike true scholars, Shapiro begins with an unquestioned premise about who wrote Macbeth, then engages in circular reasoning. True scholars use inductive reasoning, starting with the evidence, then building inferences from the ground up. Let me explain. There’s a reason Shapiro is so desperate to link Macbeth to the Gunpowder Plot. It took place after the death of the leading alternate authorship candidate, Edward de Vere, Earl of Oxford (1550-1604). But, in his 1603 book, The Anatomie of Popish Tyrannie, the anti-Catholic pamphleteer Thomas Bell warned of Jesuit plots against Queen Elizabeth. Bell used all the wording that is cited in Macbeth as evidence that it alludes to the later Gunpowder Plot. He repeatedly links “equivocation” with Jesuit duplicity. Shapiro says “equivocation” only became a “vogue word” at the time of the Gunpowder Plot. He should know better. But I’m sure Shapiro will simply ignore any challenge to the Stratfordian dogma that Macbeth had to be written after the Gunpowder Plot, since Shapiro excels at the deductive reasoning that begins with the premise that his authorship theory is a 100% proven fact. The Stratford tourist industry should be most grateful to Shapiro. But true scholars should repudiate his groupthink and his insistence on ignoring inconvenient evidence. I learned a great deal about Shapiro’s methodology when he was writing his earlier book about the Shakespeare authorship controversy. There were as yet unpublished discoveries in Edward de Vere’s copy of the Geneva Bible that showed Shakespeare’s primary literary source for the Psalms was a version de Vere had marked up extensively. It’s called The Whole Book of Psalms, and was so popular that it went through hundreds of early printings. It included music, and served as the Elizabethan hymnal. The several psalms marked in de Vere’s copy led to the discovery of crucial connections with previously obscure Shakespeare sonnets, that echo wording from this psalm translation. Sometimes a sonnet engages in an implicit dialogue with a specific psalm, deeply enriching our understanding of that sonnet. The history plays and some tragedies also show significant intertextuality with the marked psalms. I knew this new discovery would interest Shapiro. But I was wrong. He wrote to me that he would not read anything I sent him, and asked me not to write to him again. Oxford University Press’s journal Notes & Queries, published since 1850, had a different reaction. They published 10 notes on these discoveries as two long articles (they usually publish only brief “notes”). The 2009 article has appeared on their monthly list of the online most-read articles nearly every month since then.